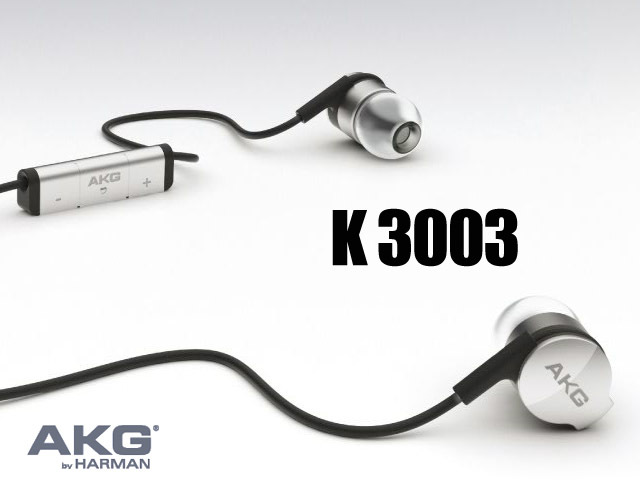 In Ear Matters: AKG: Getting Serious? AKG has never shown any real interest in the IEM market - well, until recently anyway. They are now showcasing the upcoming K3003 on their website. Beside knowing that it will be a 3 ways triple drivers, nothing else has been confirmed so far. Some rumors have pointed out that it will be a dual balanced armature + single dynamic hybrid. If that is the case I will be very impressed by AKG's decision to risk their first serious IEM on such a design. Not so much on the price though, as it is rumored to be devastatingly expensive, at around US$1500. Fingers crossed on the first, but not on the second rumor.